I know I must sound like a broken record at this point, but I remain befuddled why LA bakeries don't care about Academy Awards-related desserts. They give it a wimpish attempt - but they just don't put their back into it. This despite the fact that your best friend, neighbor, dentist, psychologist and that one guy you're Facebook friends with but don't remember all host Oscar parties. Parties they normally attack with a fairly sizable budget. Parties prime for expensive, special, golden desserts. Southland sweets shops simply don't think the extra effort is worth it. 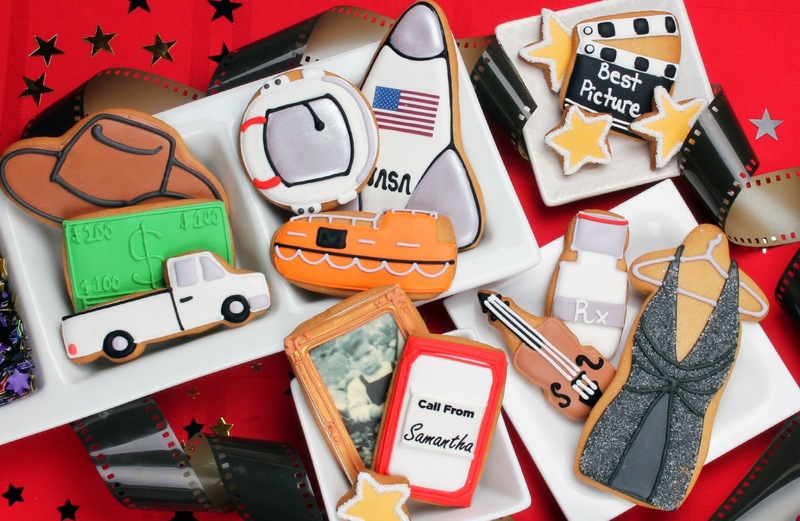 Which, once again, is fine with Eleni's New York, who just rolled out their 2014 Oscar cookie line and, like always, it's pretty rad. 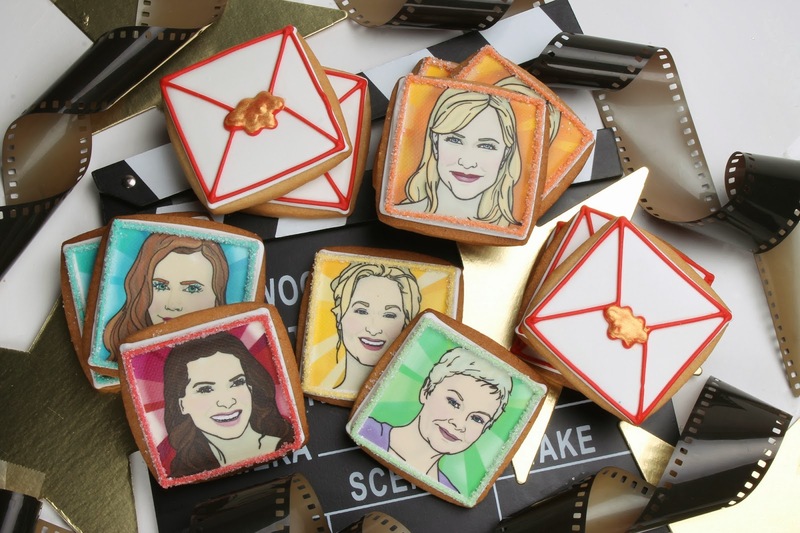 There's three collections on their signature (nut free/kosher) sugar cookie: Best Actress, Best Actor and Best Picture. 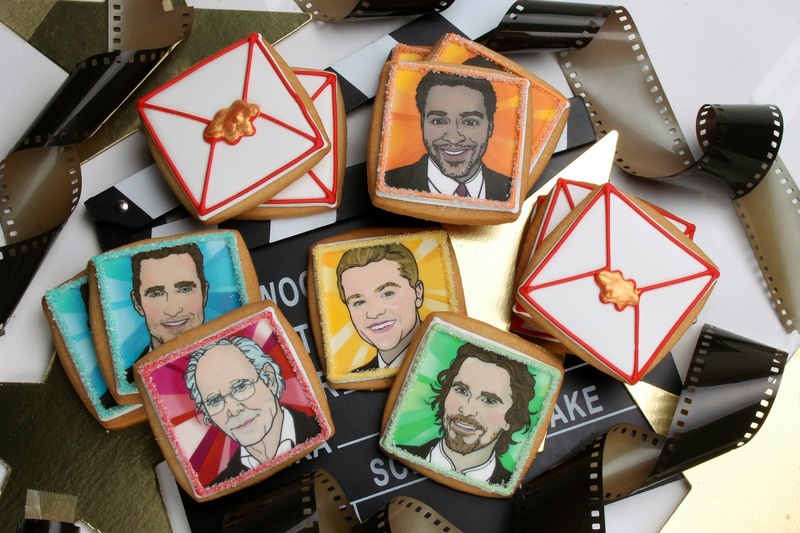 The actor categories feature eery likenesses of the nominees; the Best Picture set offers various cookies in the shapes of the movies' plots (e.g. pill bottles from "Dallas Buyers Club"). Luckily, Eleni's delivers cross country and the cookies come sealed fresh in a nifty gift box. Get them now and be the cool kid at the Oscar party this year. Then win the pool and be the coolest kid at any party.